Those who think that it is the complications that make a Quadruple Tourbillon such an exquisite timepiece have never been up close and personal with this Greubel Forsey. While they are utterly impressive, it is the finish of each component in the watch that truly sets it apart from anything else. This is also one of the reasons why I enjoyed the Quadruple Tourbillon Black, which was introduced during Baselworld, so much. The Greubel Forsey Quadruple Tourbillon Black is a variety of the Quadruple Tourbillon we already know and is technically identical. The main difference is the case. For the first time for this model, Greubel Forsey uses titanium. As it is a substantial watch in terms of size, this makes it lighter, which increases the wearing comfort. The fact of the matter is that most highly complicated watches usually get the least amount of wrist time, but this Quadruple Tourbillon Black belongs on the wrist for several reasons. First of all, there is always a considerable focus at Greubel Forsey to make their watches not only complicated but also dependable at the same time. This means that it has to withstand the rigours of an active lifestyle, as enjoyed by most of their customers. Another reason why the Quadruple Tourbillon Black needs to be on the wrist is because this will allow you to enjoy and examine the superb finish of each and every part of the watch under a different light. This is also why I like the Black-version of this watch so much: the subdued look of the case, combined with the black dial, make the tourbillons, and their carriages, stand out even more. When owning this watch, a loupe will probably be part of your standard gear, as it allows you even better to discover the superb finishing of the different parts, and there are many of them. To create the Quadruple Tourbillon Black no less than 534 parts are used. Combine this with the fact that it is all done by hand, which takes years to master, and even in Switzerland, only a relatively small group of people have the ability to create this kind of finish, and the watch becomes even more special. 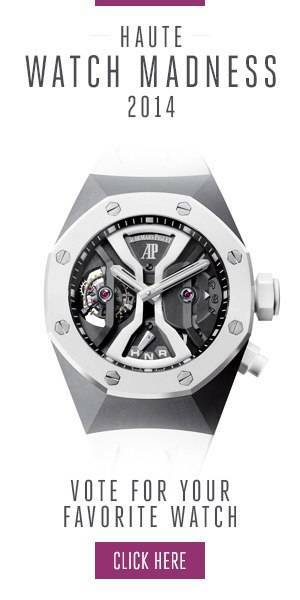 The black finish on the titanium case is ADLC or Amorphous Diamond-Like Carbon. Apart from giving the watch an attractive black look, it also makes it far more resistant to scratches. Combined with the black dial it gives the watch also a more casual, dare we say sportive, look. Although a hand-sewn alligator strap is also available, Greubel Forsey presented the watch to us with a rubber strap, which increased the wearing comfort even more, so for future owners there is nearly no excuse left, not to make the Greubel Forsey Quadruple Tourbillon Black their new daily wear, as it should be.